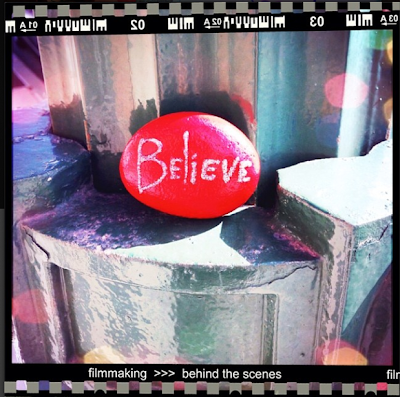 A 'believe' word rock left to someone who will push the button to cross a street at Encinitas. 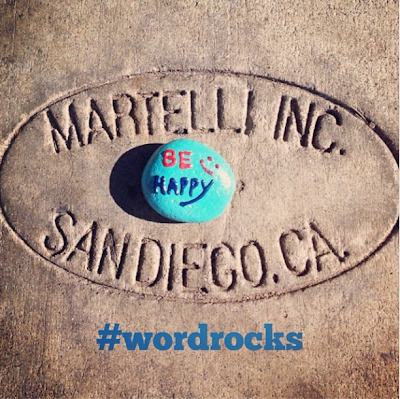 Be happy... You live in San Diego! And don't forget to check the ground. 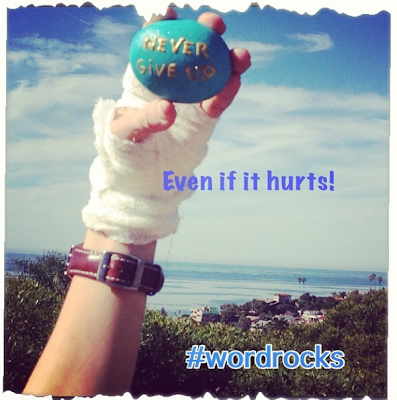 'Never give up' word rock left at San Diego. And last but not least, the amazing view of the ocean.